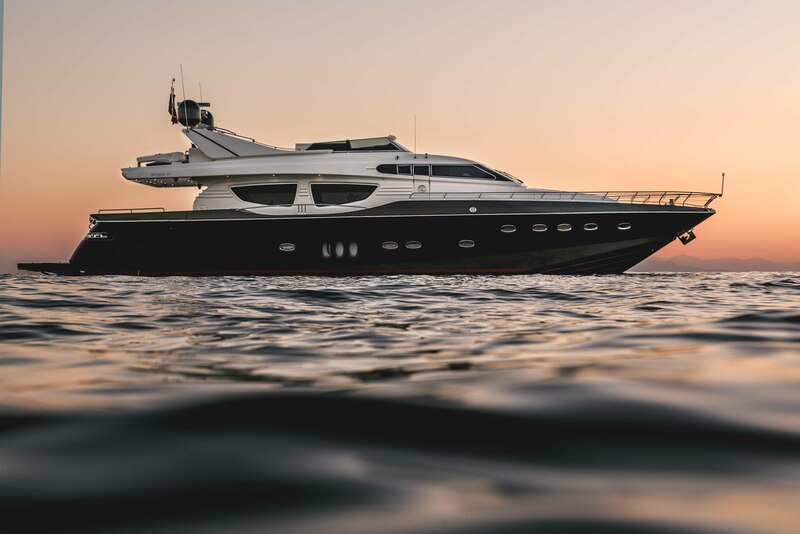 Motor yacht THIS IS MINE (EX TSOUVALI) was built in 2008 by Posillipo yachts and refitted in 2014. 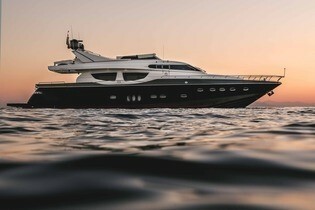 Measuring 27m (88,7ft) overall, she offers accommodation for up to 10 charter guests, in 4 cabins. 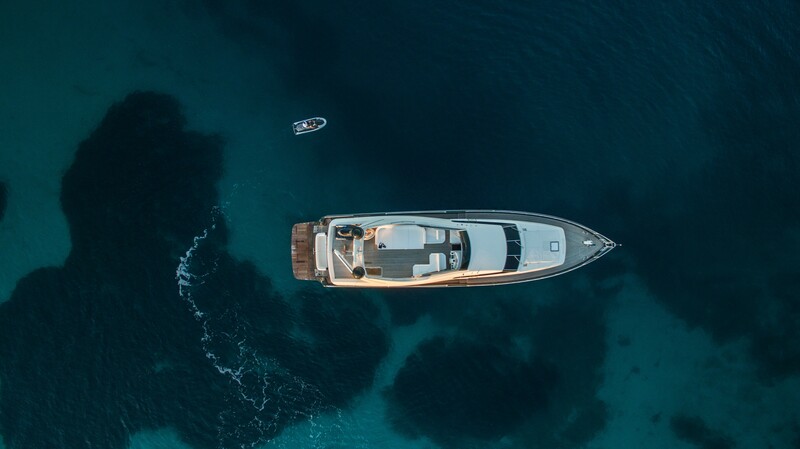 The yachts interiors are generous and contemporary, her exteriors are exceptionally spacious and perfect for luxury charter. 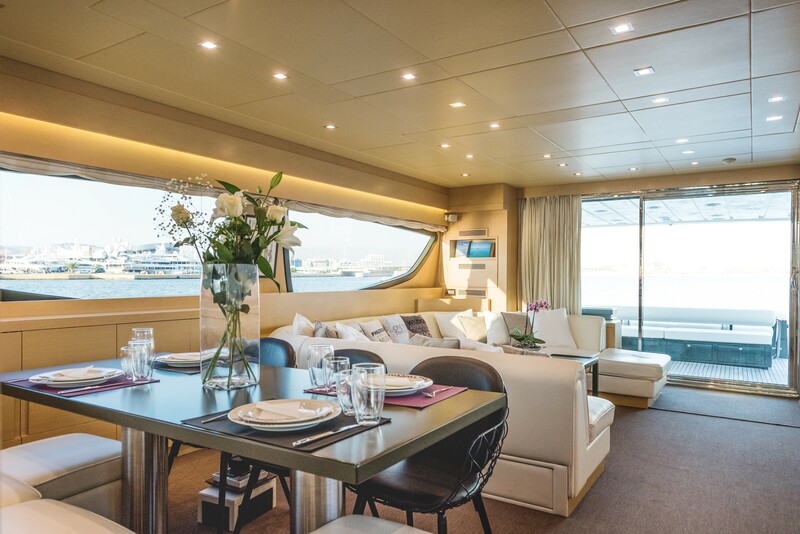 The main salon is elegant, featuring a large U-shaped sofa and coffee table aft and formal dining table forward. 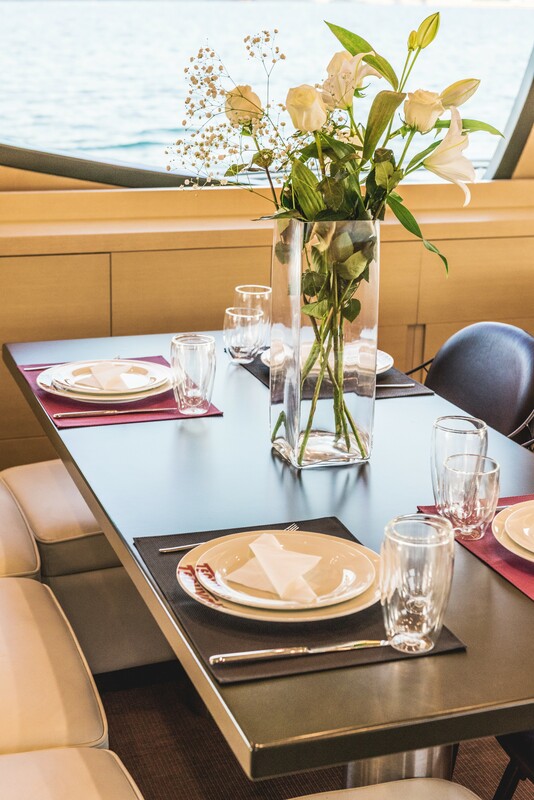 Soft carpets, plush furnishings, pale panels and headlining, combined with bespoke lighting and panoramic windows, create a harmonious and relaxed atmosphere. 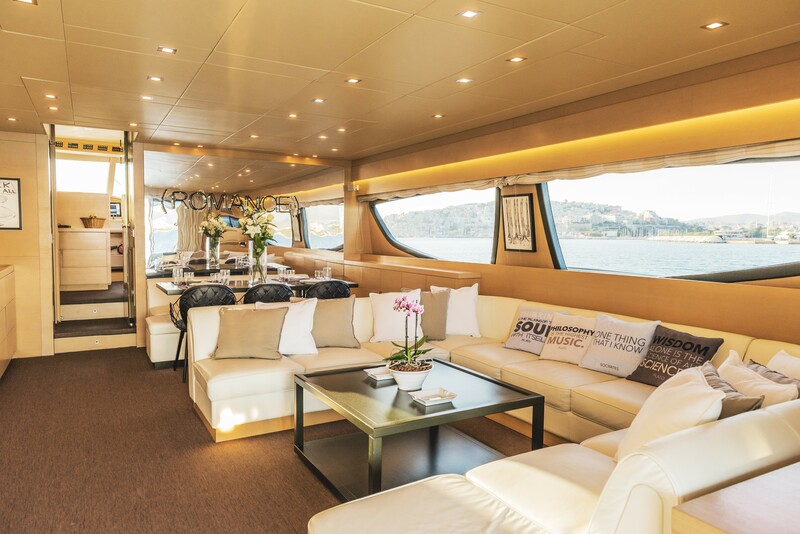 Full audio and visual systems ensure optimal indoor entertainment. 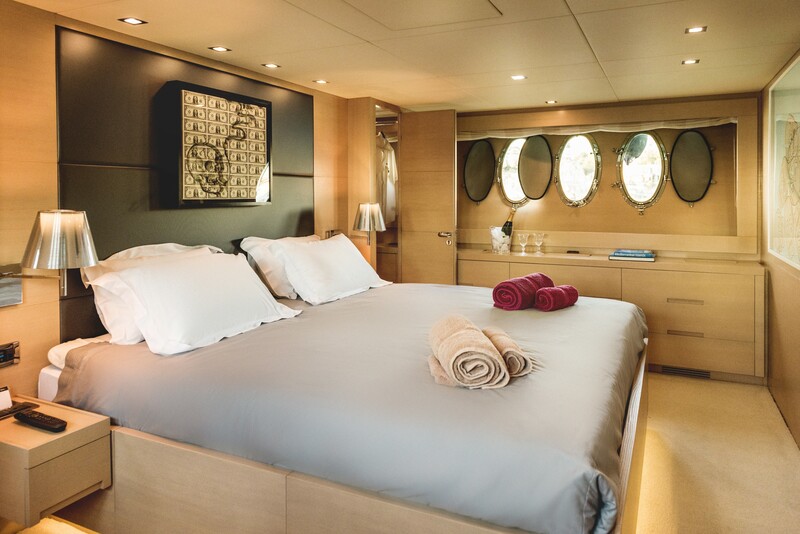 Below decks are 4 serene cabins, each offering en-suite facilities. The exterior living is well-appointed on 2 levels. 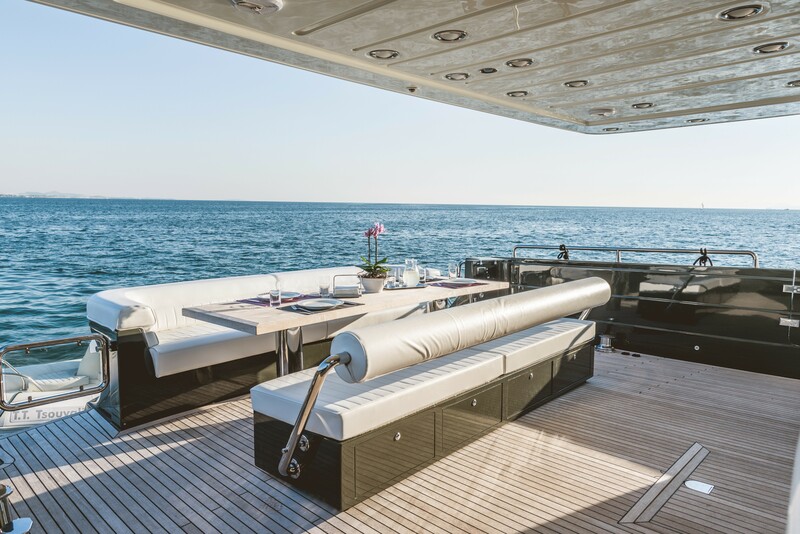 On the main deck, sliding glass doors lead from the salon directly onto the shaded aft deck, where an alfresco dining option easily converts into an oversized sun pad. 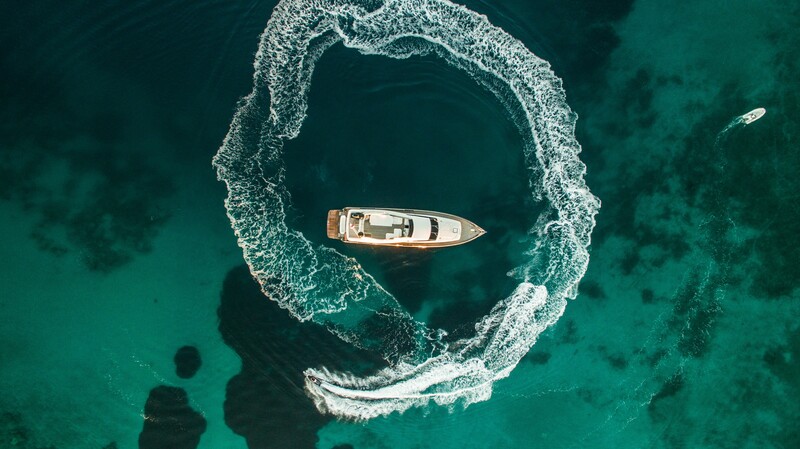 Further aft is a full beam extended swim platform, which serves as a fantastic water sports centre and teak beach. 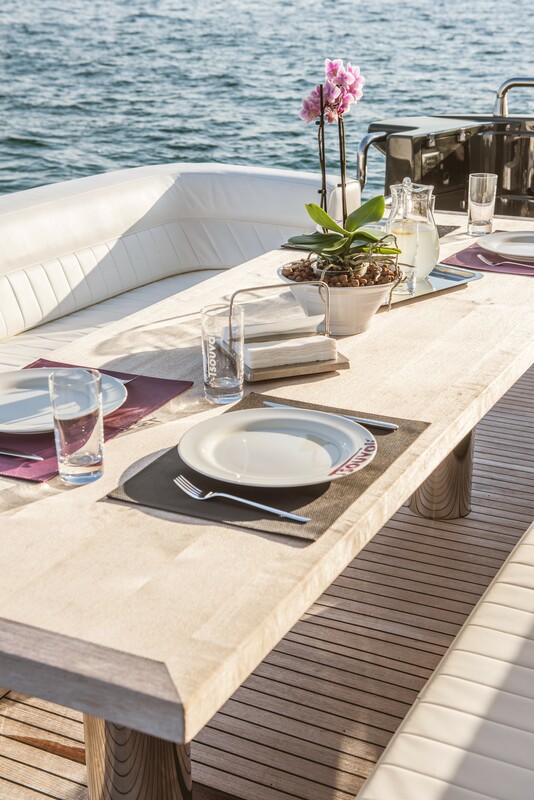 The main deck forward boasts a large sun pad, perfect for the sun-lovers in the group. 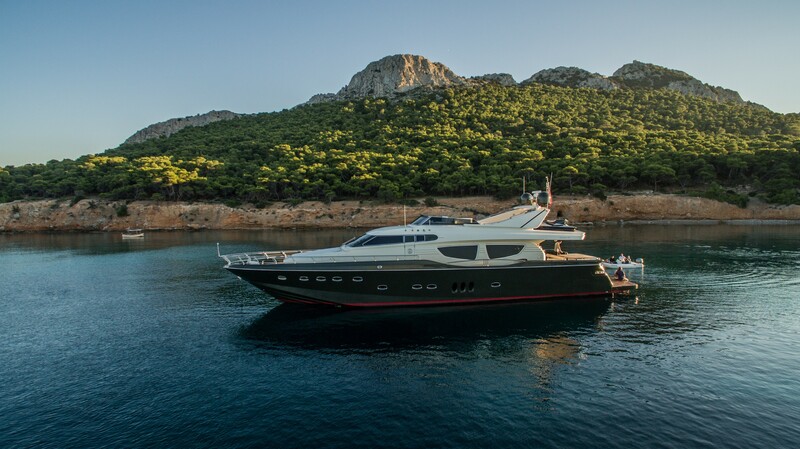 A spacious upper deck has an additional sun pad, service area, seating and helm station. 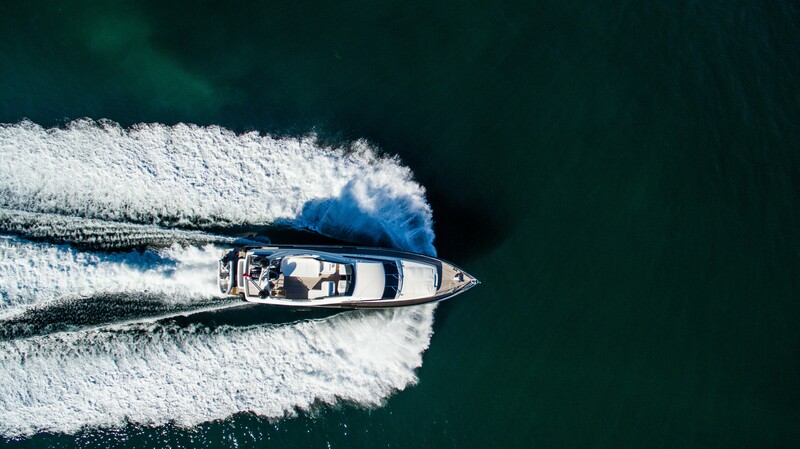 She is powered by MTU 16V 2000 M93 engines, her cruising speeds are an effortless 26 knots, while top speeds are an impressive 34 knots. 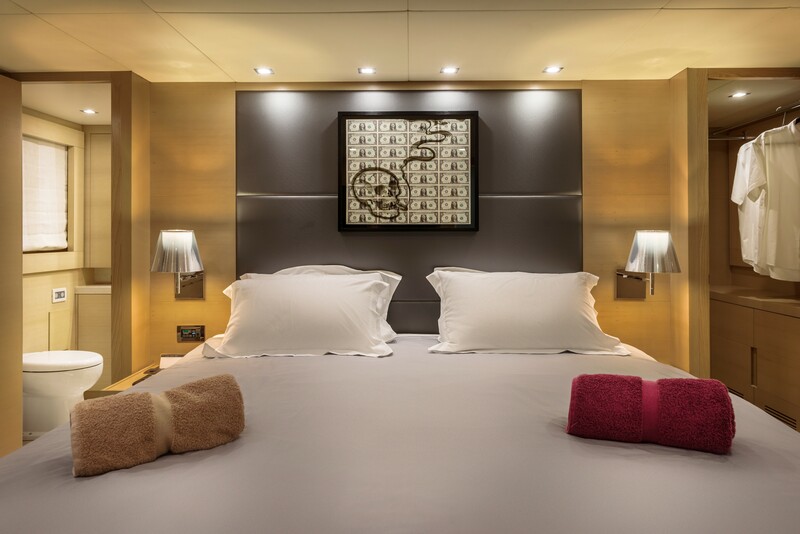 Guest accommodation aboard THIS IS MINE is below decks, in 4 en-suite cabins, for up to 10 guests. 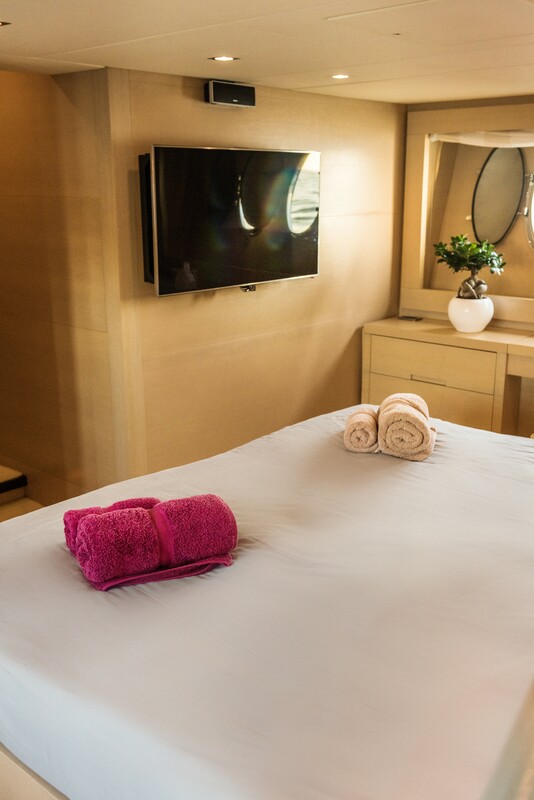 The master cabin is amidships and full beam of the yacht, with a centre line king size bed. 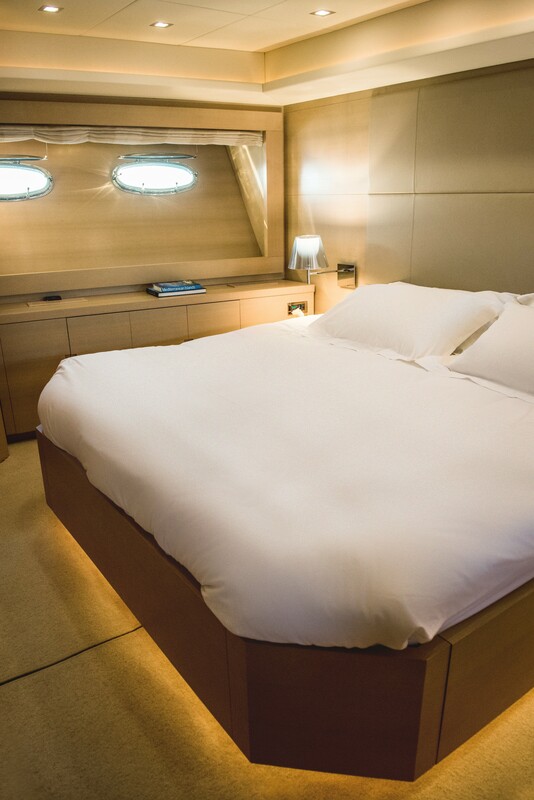 The VIP cabin is forward and full beam of the yacht, with a centre line king size bed. 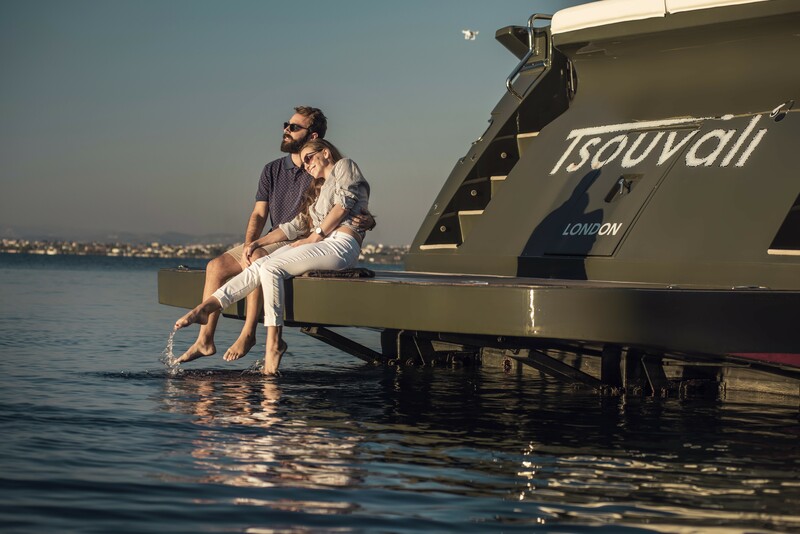 Two guest cabins each have twin side by side beds, with an option to convert into double beds. 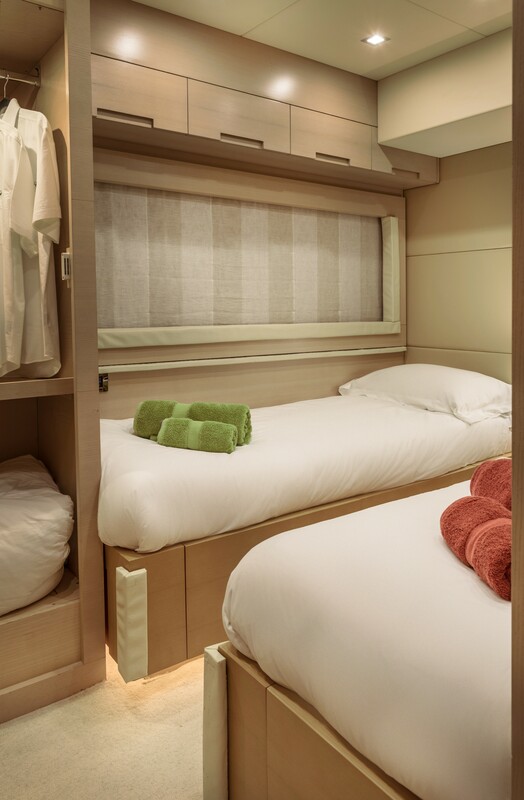 Each twin cabin has a Pullman berth in addition. 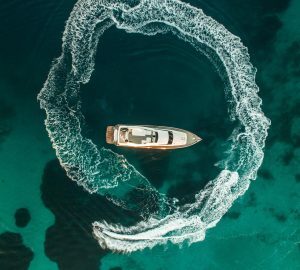 This layout is ideal for a variety of groups, thanks to its clever versatility.